Residents at Anglican Care’s Kilpatrick Court aged care home in New South Wales are feeling the love leading up to Valentine's Day with the launch of their new Pamper-Me program. Launching at 10am on Thursday at Kilpatrick Court, the program will see four pamper trolleys taken around by Lifestyle Resource Van “Rene” for residents and consumers to undergo make-overs and pampering including make-up, nail care, hairdressing and skincare for both women and men. “Edward is the man the ladies go to for all of their pampering advice. He is a very suave man,” Anglican Care’s Marketing Manager Kylie Jacques says. 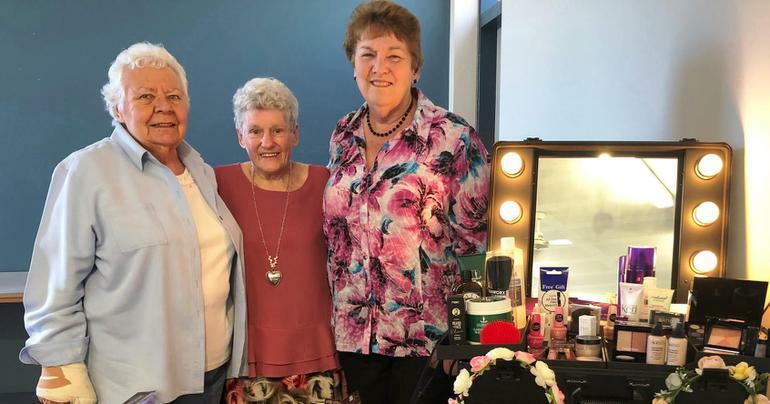 The Pamper-Me program has been made possible by the generous support of the 62-year-old Anglican Care Auxiliary who have raised over $500,000 for the organisation. From Thursday, the program will become part of Anglican Care’s innovative Lifestyle and Wellbeing activities on offer to the more than 1400 people it provides care and support to in the Hunter, Central Coast and Mid Coast regions.